(28 cm), (2) xxvi, 697 (1) pp., 905 facsimiles of titles and other pages. Publisher’s blue cloth. 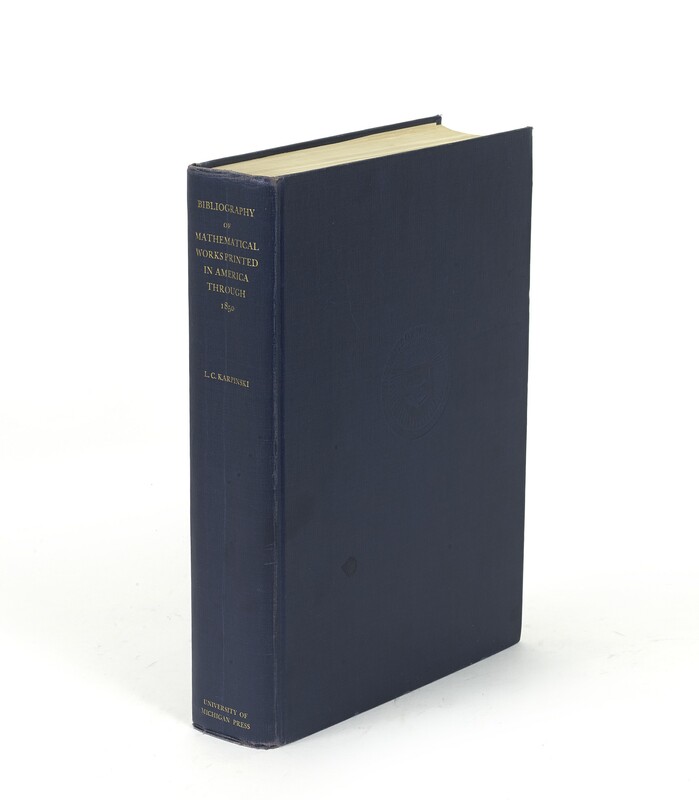 - The bibliography documents the impressive rise of mathematical knowledge in the United States through the publication of textbooks of arithmetic and algebra, geometry, trigonometry, analytical geometry, calculus, etc. 1092 separate publications are listed, and 1906 subsequent editions, in chronological order of the first editions. 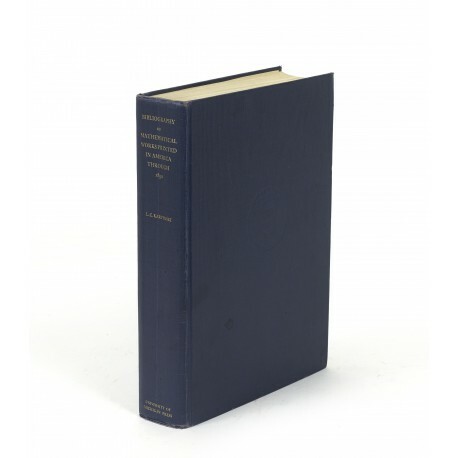 ¶ Exlibris of William P. Wreden (1910-1995); Bloomsbury Book Auctions, 5 October 1995, lot 201. Binding slightly worn at head and tail of the spine; small spot on upper cover; stain on lower endpaper; otherwise a good copy. Loosely inserted are photocopies of three supplements, published by Karpinski in Scripta mathematica, volumes 8 (1941-1942), 11 (1945), 20 (1954).